Overkill is an American thrash metal band, formed in 1980 in New Jersey. They have gone through many line-up changes, leaving bassist D. D. Verni and lead vocalist Bobby "Blitz" Ellsworth as the only constant members. In addition to Verni and Ellsworth, Overkill's current lineup includes Dave Linsk on lead guitar, Derek "The Skull" Tailer on rhythm guitar and Jason Bittner on drums. 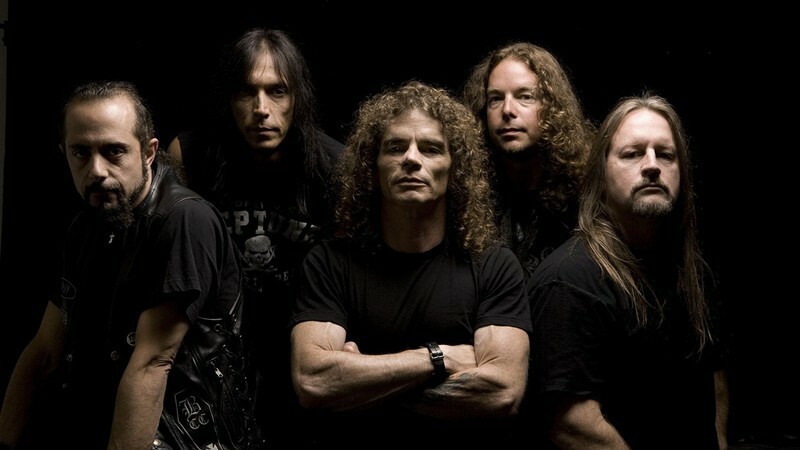 Along with Anthrax, whose one-time lead guitarist Dan Spitz was also an early member of Overkill, the band is one of the most successful East Coast thrash metal bands, and they are often called "the Motörhead of thrash metal". The band has a notable mascot named "Chaly", a skeletal bat with a skull-like face, horns, bony wings and green eyes, who has appeared on most of their album covers.